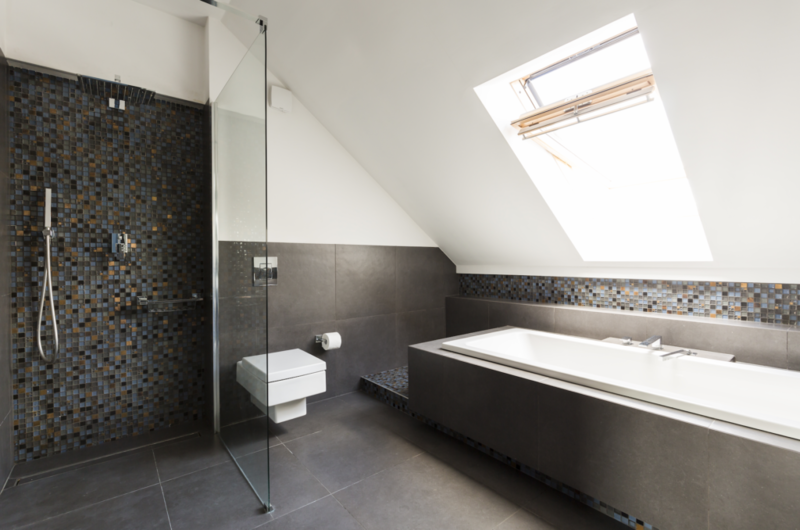 Every year, or even season, is full of remodeling and design trends — good and the bad. We’ve compiled a list of the trends that look like they’ll be sticking around for awhile. If you are ever unsure about whether something is a trend or just a fad, you should consult with someone from our design team! No one wants to remodel just to have it be outdated by a new fad in a few months. This country chic style has blown up over the past few months. With the hit show Fixer Upper on HGTV, and it’s co-stars new decor collection Magnolia Home, everyone has been rushing to get that Texas farmhouse feel. This is not a fad because it plays up natural and classic elements that will always be in style. From the oversized farmhouse sink to wood and copper elements — this trend is bound to be in for years to come. This is as far away from farmhouse style as possible! Minimalistic design is all about clean lines, no clutter, and sleek furnishings. Let’s go ahead and call this the new modern. Minimalistic design is great for small spaces and busy professionals. Not so much for people who desire a cozy place to cuddle up. This is very popular among millennials and therefore will be sticking around well into their adulthood. 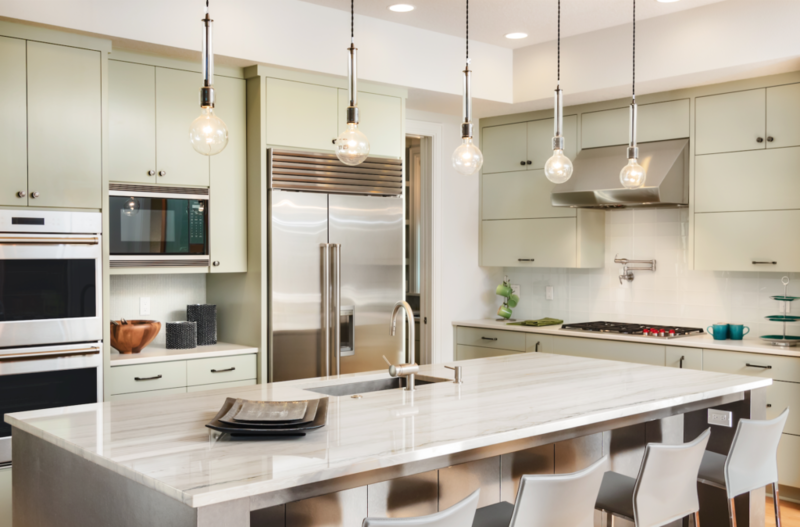 Everyone has heard the grey is the new neutral, so it comes as no surprise that warm grey cabinets are a huge hit this season. However, white is still the most popular cabinet choice and for good reason! White cabinets brighten and open up a space. So, it may come as a surprise that deep colors such as navy blue, plum, and emerald green are always placing high on our current trend list. Be cautious with choosing these dark colors. Although beautiful, they can overwhelm a space. Try going with a pop of color on your island cabinets instead of the whole kitchen and see how you feel. 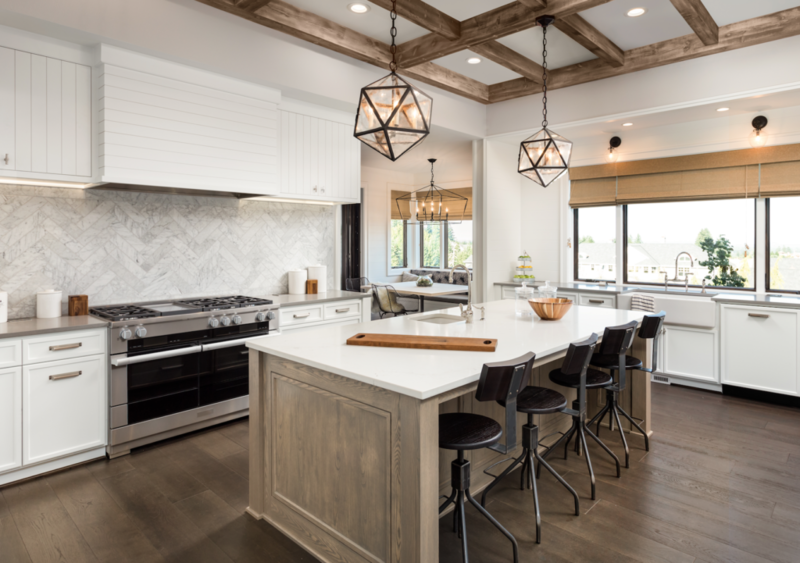 Contact one of our kitchen contractors for help pulling off this design trend.